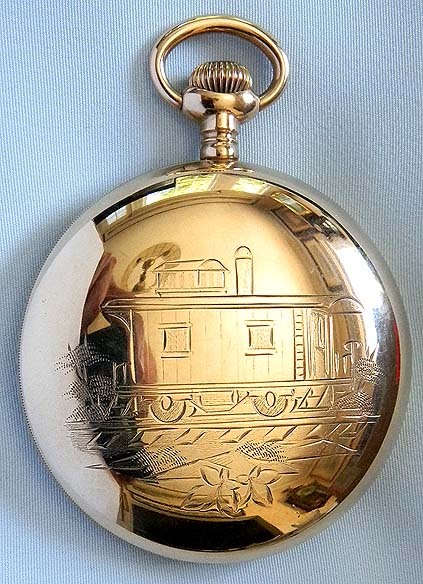 Fine and rare Illinois Pennsylvania Special 18/S gold filled Railroad antique antique pocket watch circa 1900. 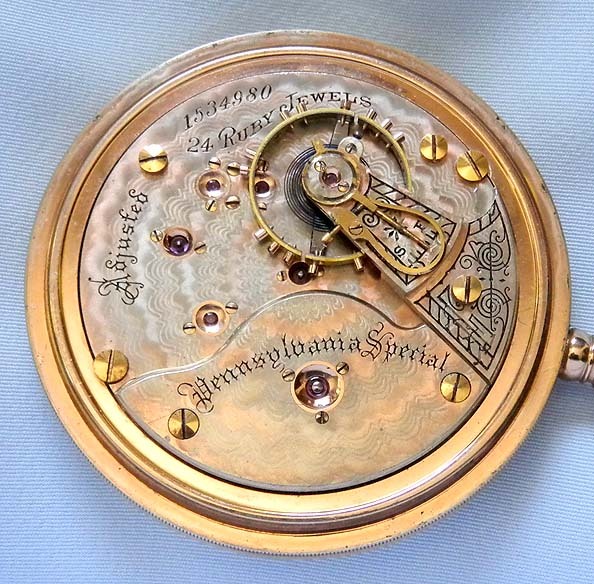 Beautiful two tone 24 jewel movement with screwed gold jewel settings and precision regulator. 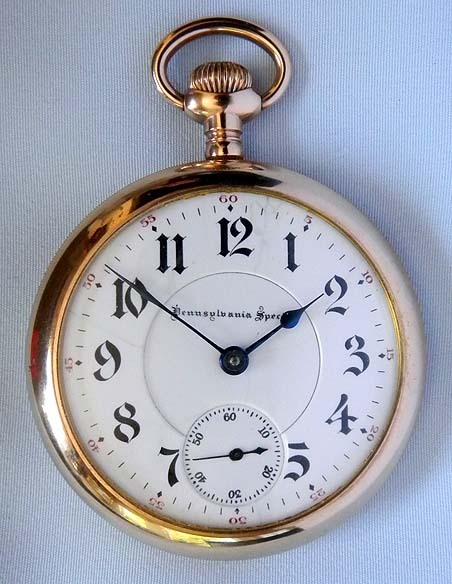 Fine enamel dial with bold black and red markings and blued steel hands. 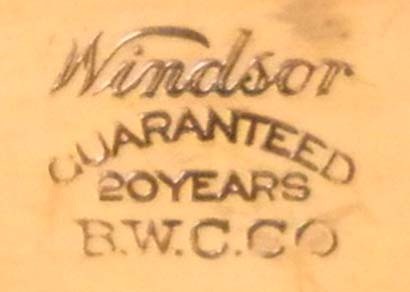 The case with charming caboose engraving.